Fulfilling our love of neutrals..
Keeping it soft and feminine in this insane pleated skirt, Lisa Aiken and a woman’s best friend (..her bag obviously). While the months are getting warmer in Australia, we can still wear turtle necks right? Well we say yes! Starting with a pair of white heeled boots. 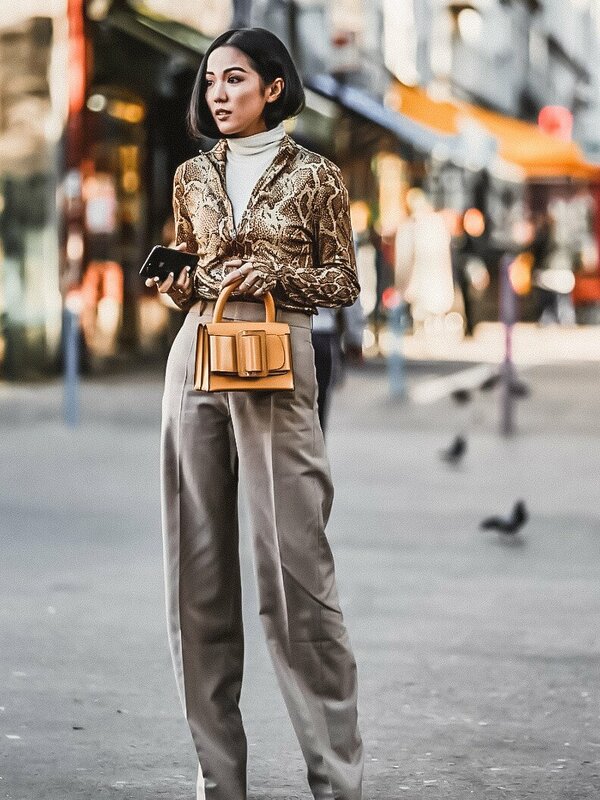 An asymmetric hemmed pleated skirt, caramel coloured turtle neck jumper, phone in one hand and her simple yet striking cross-body bag draped over her shoulder. Lisa is nailing the neutral palette..